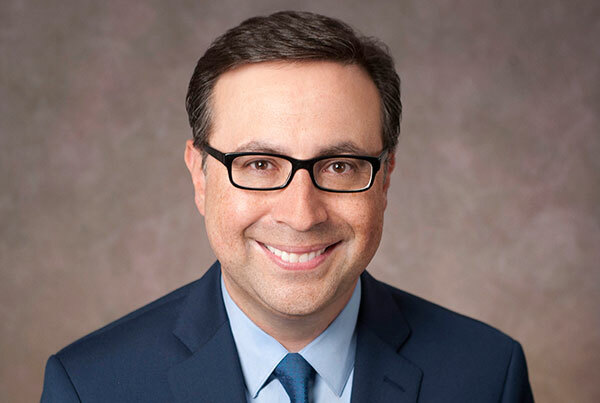 Ian Eagle has a lot of prominent broadcasting jobs, including calling the NFL for CBS, calling the Brooklyn Nets for YES, doing Thursday Night Football for Westwood One and more. One of Eagle’s big broadcasting breaks came in a pretty unusual way, though. After graduating from Syracuse (where he called football, basketball and lacrosse for student-run station WAER) in 1990, he was able to land a job as a producer at New York City’s WFAN, then got his own show (Bagels and Baseball) with Tommy John and then started hosting pre-game and post-game shows for the Jets and working as a stringer for Nets’ games. I called the Nets and I got the director of broadcasting on the phone, at the time Amy Scheer, I explained who I was, she said ‘Yeah, yeah, I heard you on FAN.’ I explained that I was interested in the job, and she told me that there was very little time left. She told me that they had actually started the search a month earlier and it was just going public that Howard wasn’t going to be back. She said ‘Look, I don’t think it’s going to help, but if you want you can come drop off a tape at our offices and I promise to you I will have my boss listen to it.’ So, that’s what I did, I jumped to my car, I had a tape from college, from Syracuse, of a Syracuse Seton Hall game at the Meadowlands so I thought maybe something was in the stars there. …I walked out of there, she called me the next day and she said ‘hey, I played it for my boss and we liked it.’ She said ‘here’s the thing, we wanna hear something a little more recent, this is from four years ago.’ She said ‘Do you have anything more recent?’ I said yeah, absolutely. I didn’t, I had nothing else that was all I had. She said ‘alright can you get it to me?’ I said I may need a day on that one and she said ‘okay I can give you a day.’ So I called a buddy of mine that worked at NBA entertainment and I asked him hey if I come into your studios could you set me up in front of your TV calling a game and have somebody put ambient noise, some crowd noise behind it. He said yeah I think we can do that. If he says no, it’s over, it ends right there, but because he said yes, I got in my car, drove back to Jersey again knowing very little about the state, this time I went to Secaucus and I called a Net Knick playoff game from 1994 by myself in a little mini studio/cubicle and they put some crowd noise to it. Eagle goes on to discuss how he landed an interview with team president Jon Spoelstra (father of current Miami Heat head coach Erik Spoelstra) from that second tape and told him “I know I’m going to be successful in this business, I know I’m going to do well at play-by-play, if you give me this job, if you give me this opportunity, for the rest of my career, you’ll be the one that gave me my break doing play-by-play.” That’s pretty gutsy, but he definitely turned out to be right. And hey, after all those circumstances leading up to that moment, the interviewing strategy seems like one of the least crazy parts.